Your heater is not working and is facing some costly repairs to get it back up and running again. The big question is, should you do the repair, or is it time to consider replacing the unit. Of course, no one wants to face the costs of replacing your entire unit, but there comes a point where every system has aged to a point that – even if you do repair it – another costly repair will be coming soon. Here are a couple of points to consider to determine if it is time to replace the unit. If your heater was installed before 1992, chances are it is time to replace it. 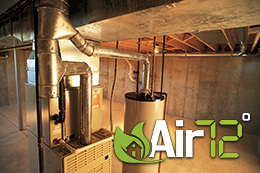 The fact is your heating system is running at only 70% efficiency. Heating units have become much more efficient and affordable to run of late and just the savings you would see in your energy bills would be enough to justify replacing the unit. 2. Your heat exchange has cracked. This is the big one for heating units. The heat exchange is the major component of the heating unit and the cost, while perhaps cheaper than replacing the entire unit, is very steep. If you do decide to replace it, then you have dozens of other fixes that will be coming through the years that will keep adding up. If you are going to have to invest thousands of dollars into your heating unit, it is wise to go ahead and look at replacing the entire unit and starting with a fresh system that is under warranty.